On Monday, Business Standard conducted a poll across Twitter, Facebook and on its website asking "How would you rate Rahul Gandhi's promise of Rs 72,000 a year to 20 per cent poor, should the Congress form the next government?" The Game-Changer club: Of the 5,403-odd votes received across all platforms, 2,532 respondents, or 46.69 per cent, are of the view that it's a masterstroke by Congress and that it should form the government. 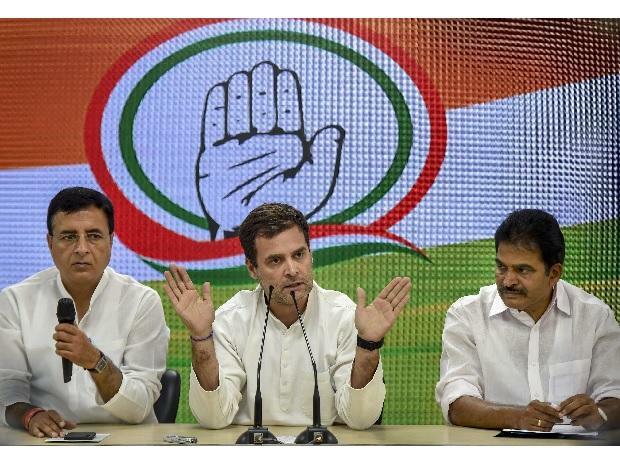 The Over-Promising club: Around 2,718 respondents, or 50.30 per cent, are of the view that it is a gimmick by Congress and that Rahul Gandhi is over-promising in his manifesto. The CAN'T SAY club: Around 2.7 per cent said that they weren't sure of how it will be implemented. "If implemented with fair data and study, it is going to hit the jackpot for him, but can’t say he will be in power or not," a Business Standard reader commented on Facebook.